Home :: Blinds :: Primos Double Bull Shack Attack Blind SALE! 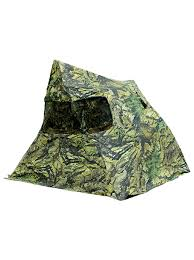 Primos Double Bull Shack Attack Blind SALE! Light and spacious would be the two best words to describe the new Primos Double Bull Shack Attack blind. This the lightest Double Bull blind Primos has ever offered. The two hub system makes for rapid setup yet it is spacious enough for two adult hunters.